Workplace Giving is an easy way to support The ALS Association Tennessee Chapter. Your gift supports patient service programs and nearly 80 research projects throughout the world. Giving at work through payroll deductions is simple and there are many convenient ways to contribute. 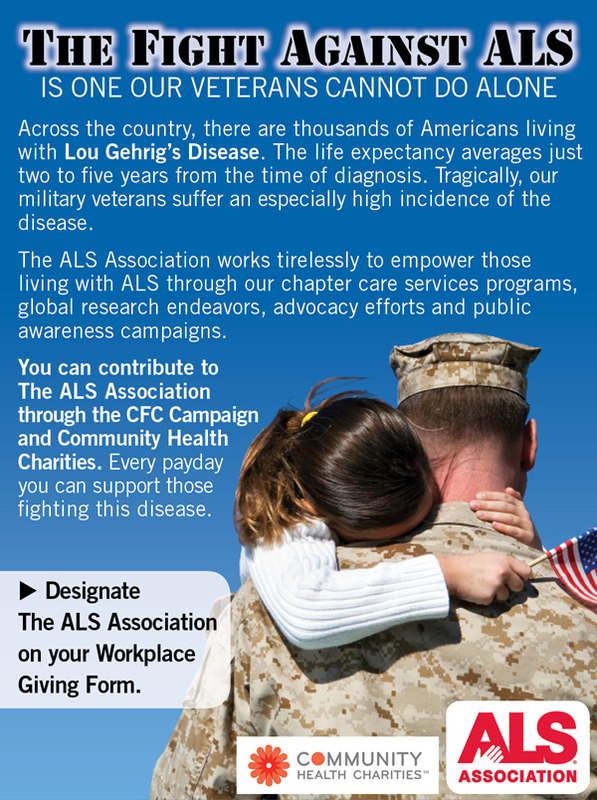 Federal government employees are encouraged to participate in the CFC and may designate The ALS Association Tennessee Chapter by writing The ALS Association - Tennessee Chapter on the Workplace Giving Form. You can find the Tennessee Chapter CHC/CFC codes here. Even if your company isn't listed here, check with your Human Resources Department to see if you have a Matching Gifts Program. If you do, you will be given a form to complete. After you complete the form, send it to: The ALS Association Tennessee Chapter, P.O. Box 40244, Nashville, TN 37204 or fax it to: (615) 331-5796.